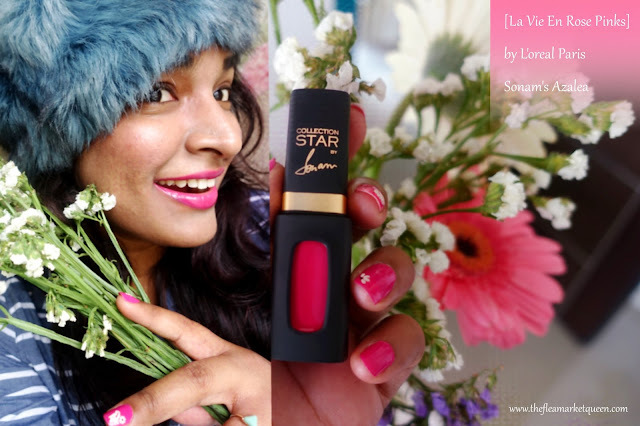 L'oreal Paris has been wooing the hearts of lipstick lovers, since they launched one of the most successful range - The Pure Reds. It had bright shades that suit all skintones just like that!The perfect reds were found!And I totally swear by all of them. I had so many HG shades in a single collection! Its never difficult to find a pink, so there are high expectations from this range! Also, following the successful pure reds, the pinks have big shoes to fill. When I made my selection from the la vie en rose collection, Unlike the pure reds collection, I found only few pinks suited the dusky/dark skintone .Most of the pinks are very light and sheer. There is however, one noticeable thing about these lippies, they smell like your mom's dressing table from the 90s. That rose smell is so reminiscent of the early days when we envied Mom's collection. Nostalgia might grip, I warn. So, Here's your guide to the perfect La Vie En rose pinks, if you are a dusky/dark skintone girl. inks in L'Extraordinaire Mat and 4 vibrant pink nail polishes that are chosen by 12 iconic L'Oreal Paris ambassadors. " L'extraordinaire Mat: I just knew these shades were meant for the dusky/dark skintone and beautifully so. This formula in liquid lipcolors is one of the better ones L'oreal has ever launched. These colors pop bright like never before and after a few minutes of application settle to a semi-matte tint. Again, they are buildable and leave behind a beautiful tint, after heavy meals. I downed a bowl of nachos and bean sliders without losing any of the intensity of the gorgeous "Magnolia" by Julianne. Hands down my favorite shade. Also, in this picture Magnolia was just applied. After 10 minutes it became a really beautiful color brighter than what it shows here. 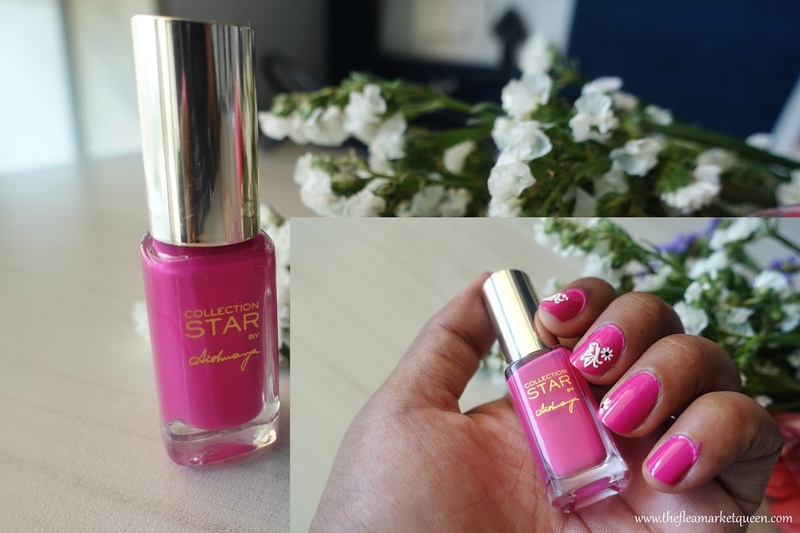 Sonam's Azalea comes a close second and looks extremely beautiful in pictures as you can see- the perfect Hot PINK! You gotta grab them both. Color Riche Moist Mat: Unlike the previous moist mat range, these lippies run sheer and are buildable to a color that actually shows on the bullet. This however, makes it necessary to wear a lipliner if you have pigmented lips as the lipcolor pigmentation is moderate. The finish isn't matte but satin.They are also very hydrating. As I said they smell of lovely roses or rhubarb, but the fragrance naturally wears out in an hour. 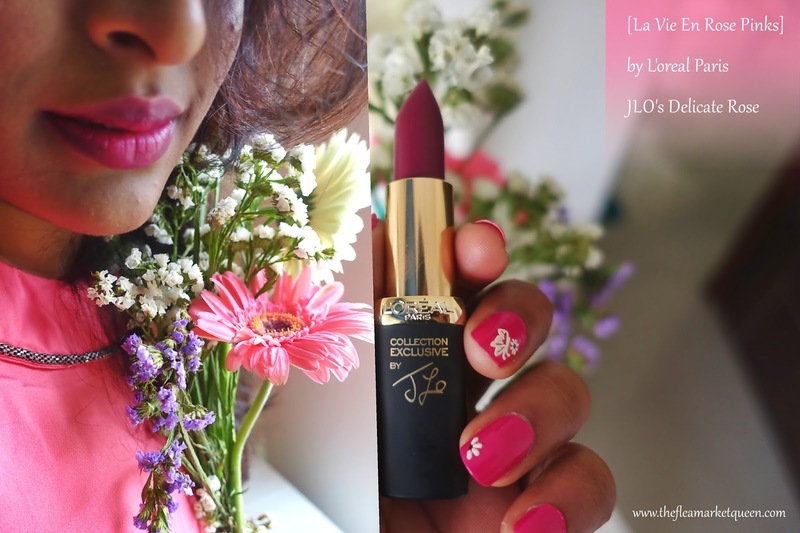 Out of the two I picked- Liya and JLO, JLO reminds me of the color mom used to wear very often in those early days! 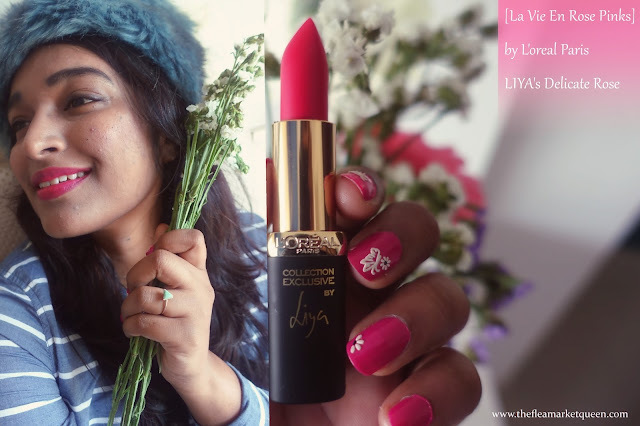 If you are looking for a bright pink, with moderate pigmentation - Liya should be your pick. Both lipcolors wear a good 3-4 hours with light meals and leave a pink tint behind which makes your pigmented lips look beautiful. 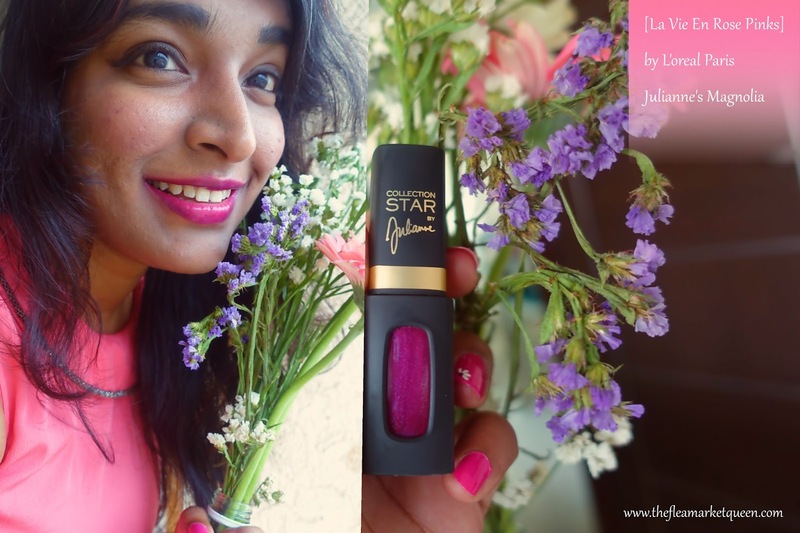 Nailcolor: The nailcolor by Aishwarya is a hot pink shade that can brighten up any look. I wore 2 coats and without a top coat. It has lasted a good 4 days without chipping or losing the lustre. Catch me daily with all the beautiful visual updates on my Instagram handle.